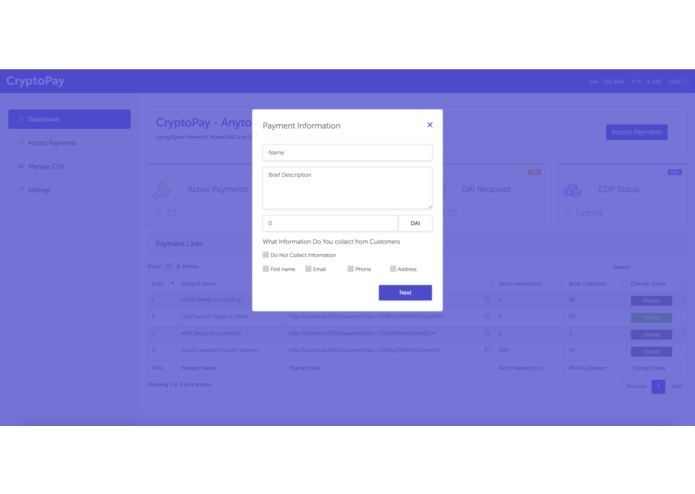 Users can go to https://cryptopay.instadapp.io/ (WIP) - Switch to Kovan for Pay By Loan and Ropsten for Pay Now to submit transactions. 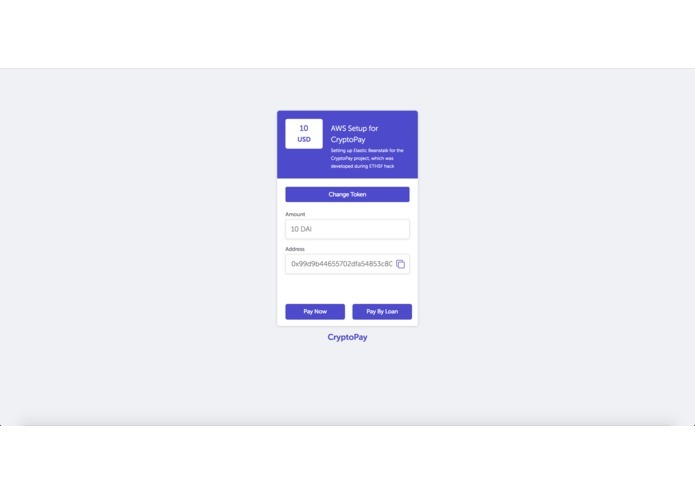 Our idea was to have user do one transaction for Pay By Loan with any token, our smart contract would ideally create a MakerDAO CDP, issue $DAI and then use the same DAI to complete the payment, but as Kyber Network is available on Ropsten and MakerDAO on Kovan, we had written 2 separate Smart Contracts and deploy them on both the test nets and run into issues while integrating them. 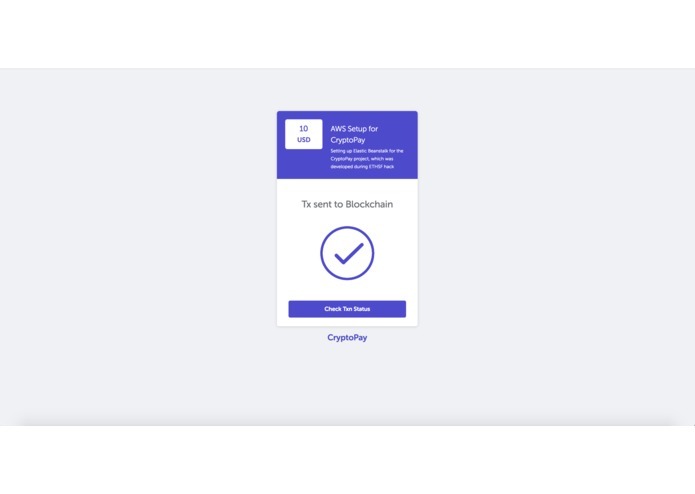 We are top 7 finalists in #ETHIndia - https://instadapp.io, coming to #ETHSF was a very good experience and exposure for us and we have learned how the ecosystem is growing, we are learning a lot of new things at a rapid pace and that is very exciting. How complex protocols can be simplified for users by creating Resolver Smart Contracts which intern talks to the Smart Contracts of the actual protocols for reducing transactions, Dapps with good UI/UX to improve users adoption and crypto economics. How to build to develop Dapps quickly by finding a good protocol that fits your use cases. 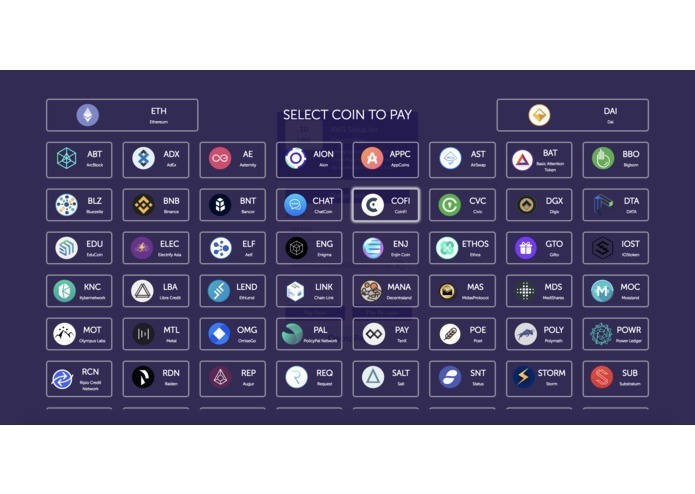 We have 2 Dapps from 2 hacks, both of them are developed keeping user cases and adoption in mind, now we have to merge them and make one Dapp that can be launched on Mainnet. 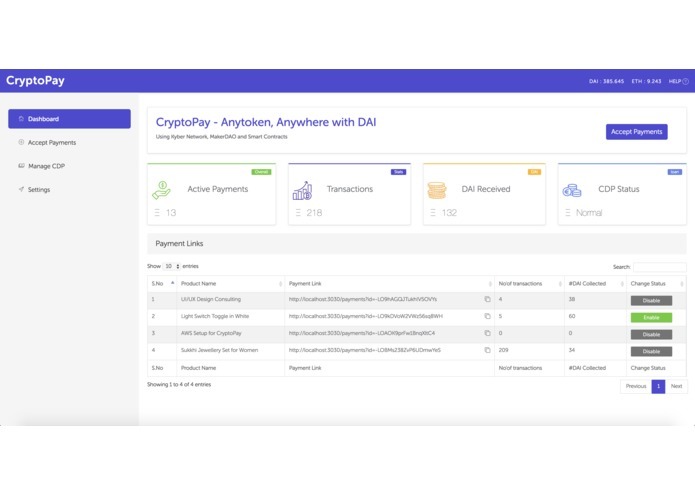 This is our MVP, we will have to add a few more features like Dashboard, Transactions Page, Manage MakerDAO CDP (Create, Topup, Repay), build a revenue model, audit Smart Contract, launch on Mainnet and take it few pilot users to get feedback. 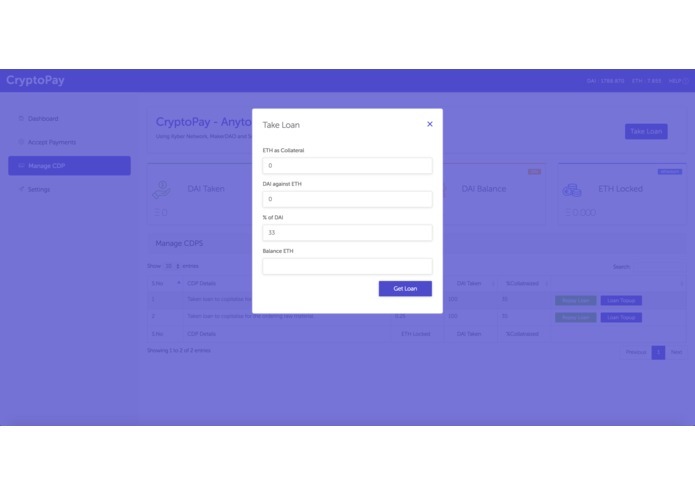 I coded the CryptoPay smart contract and integrated Kyber Network & MakerDAO protocols with CryptoPay smart contract to let them interact within themself.